One of our professional Realtors would be happy to help with all of your real estate needs! NO Gimmicks! Call me direct at 931-247-4414, and Start Packing! 4 BIG Reasons to Call The Umbarger Group Real Estate Team Today: 1) WE HAVE BUYERS IN WAITING We have Buyers in Waiting in our Database. Your home may already be SOLD! 2) WE SELL FOR MORE We sell our homes for more in sales price when compared to your average agent. This means real dollars in Your pocket. 3) WE SELL FASTER Per MLS, the average agent sells a home in 111 days while our average time for selling a home is only 79 days! 4) YOUR HOME IS MORE LIKELY TO SELL With The Umbarger Group's proven track record of results, your home is more likely to sell, and sell for more money, and in less time! I have been a Realtor since 2002 and I am also an Auctioneer. Real Estate is my life and it is my passion to help others with one of the biggest investments they will ever make. I love what I do and I am also a CDPE (Certified Distressed Property Expert). I would love to help you purchase your dream home or investment property. Or if you need to sell, I can help with that as well. Call me today for more information @931-247-4414. It is very important to me to be involved in my local community.Graduate, Coffee County LeadershipMember of Masonic Lodge- Highland Lodge 214Member, Manchester Chamber of CommerceMember, Tullahoma Chamber of CommerceI attended Middle Tennessee State University and I began my professional career in the manufacturing industry where I spent 23 years. I started in Real Estate in 2002 and have enjoyed every minute of it.In 2007, my wife Lora and I opened Exit Realty Partners. We chose an EXIT Realty franchise in order to provide the best environment for agents including superior training and a positive team atmosphere. 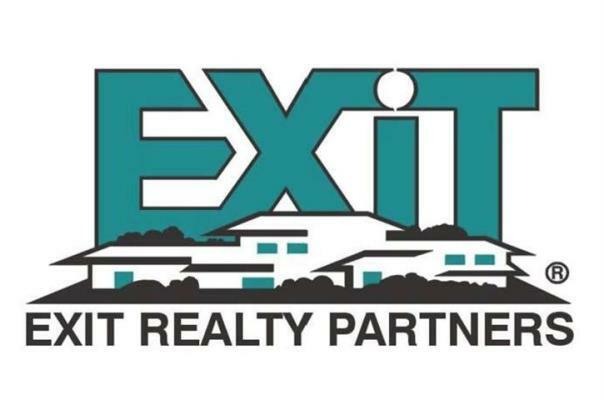 We are proud to be a part of the EXIT team!2011 EXIT Realty Corp. Bronze Sales Award2012 EXIT Realty Corp. Bronze Sales Award2013 EXIT Realty Corp. Silver Sales Award2014 EXIT Realty Corp. Gold Sales Award2011 EXIT MidSouth Multi Million Dollar Producer2012 EXIT MidSouth Multi Million Dollar Producer2013 EXIT MidSouth Multi Million Dollar Producer2013 EXIT MidSouth #2 Team Sales2014 EXIT MidSouth Multi Million Dollar Producer2013 EXIT Realty Partners Top Team Sales2013 EXIT Realty Partners Top Team Transactions2013 EXIT Realty Partners Top Team Listings2014 EXIT Realty Partners Top Team Sales2014 EXIT Realty Partners Top Team Transactions2014 EXIT Realty Partners Top Team Listings2013 Named EXIT Realty Corp. Top 100 as the 42th ranked Realtor in North America for sales volume. 2014 Named EXIT Realty Corp. Top 100 as the 43rd ranked Realtor in North America for sales volume. 2015 Gold Level Producer, Multi Million Dollar Producer.“Mitch has been awesome and went above and beyond” - Kevin“Mitch Umbarger = drive, determination, ambition, awesome!” - Josh“Very professional and pleasant experience working with you” – Ron and AnnMy wife Lora and I work together as a team to better serve our clients and customers. We are the proud parents of two boys and grandparents to three girls. Lora and I were both raised in Manchester. We look forward to hearing from you and assisting you with all of your real estate needs in the Manchester, TN and Middle Tennessee area!